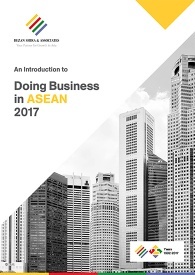 Foreign entrepreneurs investing in new businesses, and highly skilled professionals or executives can now apply for a new 4-year ‘Smart Visa’ to live and work in Thailand. The application for the smart visa will begin from February 1, 2018. However, individuals interested in applying must note that the visa application is only open to foreigners working or investing in the ten S-curve targeted industries. These industries include next-generation automotive, smart electronics, medical and wellness tourism, ‘food for the future’, agriculture and biotechnology, automation and robotics, aviation and logistics, biochemicals and eco-friendly petrochemicals, digital businesses, and medical hubs. To be eligible for the smart visa, a foreigner must meet the given criteria under one of the following groups. Group 4 – Company executives employed in S-Curve industries with a minimum monthly salary of THB200,000 along with a minimum of 10-years’ experience in the field. 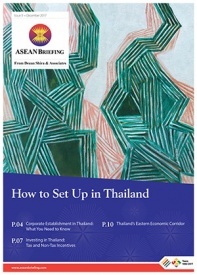 Before putting in a request for the visa at a Thai consulate or embassy, foreign applicants must ensure that they get their application approved from the Thai Board of Investment (BOI), the Digital Economy Promotion Agency, the Ministry of Foreign Affairs or any other relevant government agencies. The Smart visa offers significant benefits and privileges that will help reduce administrative burden and costs for foreign applicants qualifying for the visa and their employers in Thailand. First, the visa will allow business professionals to stay in Thailand for up to four years instead of the current one-year, without frequent reporting to the Immigration Department. Instead of reporting to the department every 90 days, the visa holders will only need to report annually. Second, the visa will allow foreigners to work in Thailand without requiring a separate work permit. Third, it will allow the dependents (spouse and children) of the visa holder to live and work in Thailand. Other benefits of the Smart visa include authorization for multiple entries, without the requirement to apply for re-entry permits; and the one-stop service center for visa and work permit in Bangkok for the smart visa application. There is no age restriction for the visa applicants. The new visa is aimed at encouraging knowledge transfer that will boost business growth in the country and bring long-term economic benefits. It is a part of the Thai government’s stated objectives to push technology under its ‘Thailand 4.0 plan’.